Surgeons at Boston Children’s Hospital have reconstructed the face of a 2-year-old with a rare facial deformity by using 3D printing, wric.com reported. 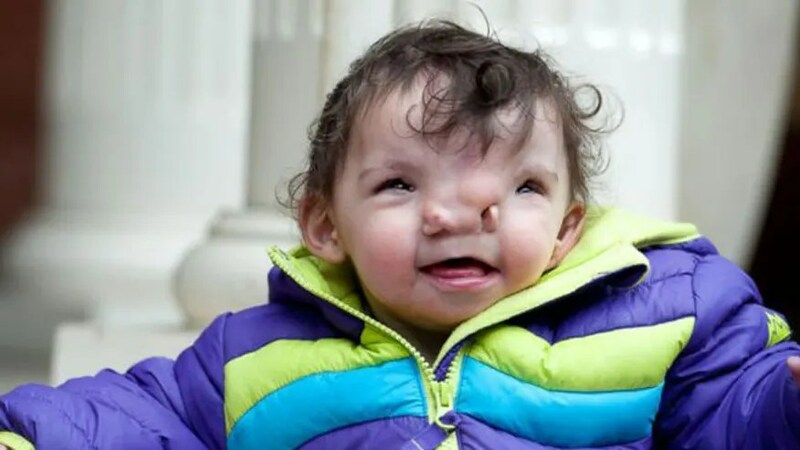 Violet Pietrok was born with frontonasal dysplasia, a condition that causes certain facial features to widen, and that has been documented only 100 times, according to the National Institutes of Health (NIH). In Violet’s case, the nose and space between her eyes were widened, which caused her skull to become deformed and complicated her surgery. A plastic surgeon and neurosurgeon performed the six-hour procedure, which required bypassing her nerves and brain, in October, wric.com reported. They said the surgery would have been challenging without the help of 3D printing. Meara said 3D printing allowed doctors to plan ahead for incisions and bone cuts they would carry out during the real-life procedure. “For Violet, I actually modified my osteotomies (bone cuts) based on something that I was able to see happening in the model,” he said. Meara told ABC News that he planned to follow up on the little girl’s progress annually and that she may need revision procedures in the future. Alicia Taylor, Violet’s mother, told ABC News that since undergoing the surgery, her daughter has been all smiles and has started behaving like an ordinary toddler.